Throughout the U.S. Open, Audi has had their fair share of chances, shooting at goal often but having a shot conversion rate below 50%, which contributed to losses in their opening two games. It was a different story against Coca-Cola though as Audi shot at goal 21 times in the game, putting more through the goal than they missed to put pressure on Coca-Cola to respond. 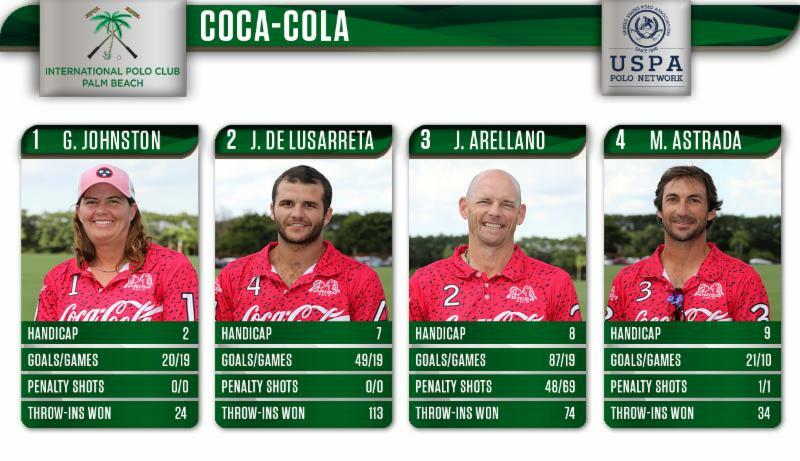 Coca-Cola seemed to be clicking early with the combination of Miguel Novillo Astrada and Julio Arellano providing the offense through the first two chukkers. 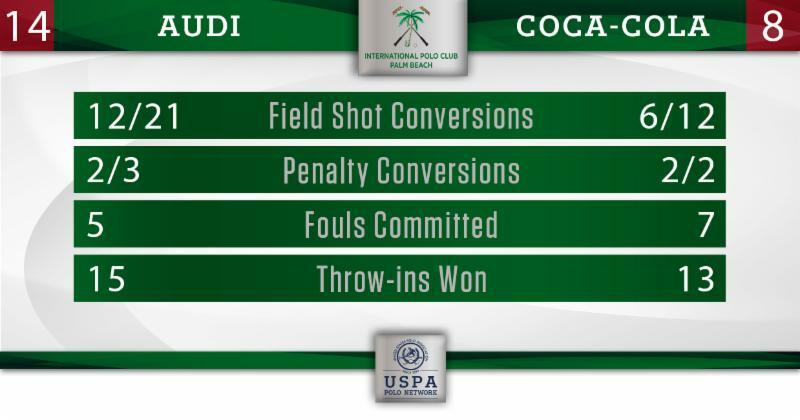 Astrada converted his first two shots for field goals, while Arellano added one from the field and converted both penalty attempts in the second chukker to extend Coca-Cola’s lead to 5-2. Audi seemed to recognize they couldn’t keep giving Arellano penalty opportunities and didn’t provide him with a single penalty shot the remainder of the game. In a very open, fast-paced game the rest of the way, Audi would control open play. They converted 10 of their last 16 shots led by Marc Ganzi, who came on strong in the third chukker and finished with 4 goals on the day. Alejandro Novillo Astrada also contributed 4 goals for Audi, all from the field. 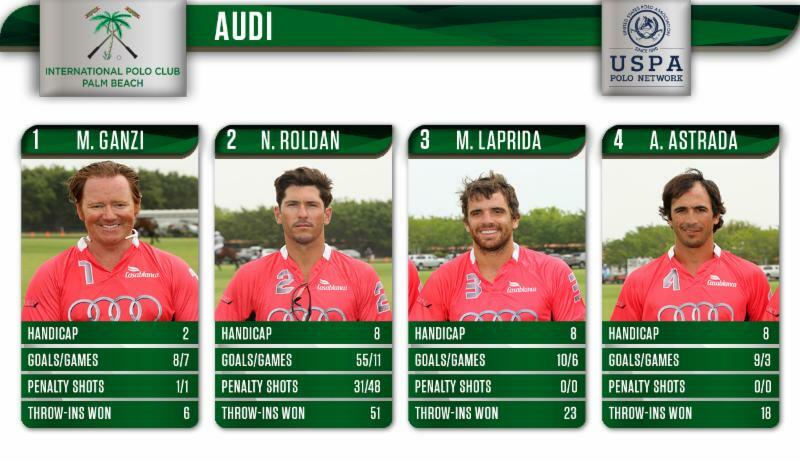 Audi used strong passing and quick transitions from defense to offense to beat a tough Coca-Cola team 14-8, bringing both teams to 1-2 in a critical game that impacted the standings ahead of the quarterfinals.